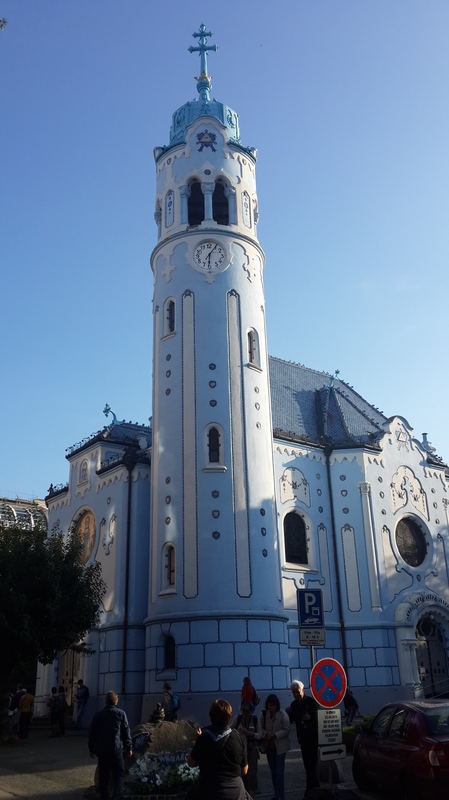 Bratislava is the capital of Slovakia and is often missed by tourists as they go between Vienna, Prague and Budapest, but it is definitely worth a visit. This smal quaint city has a rich culture and a lot to offer. From Budapest, it is just a 2hr 45min trip either by bus or train. There are several that leave a day and this can be organised the day before. 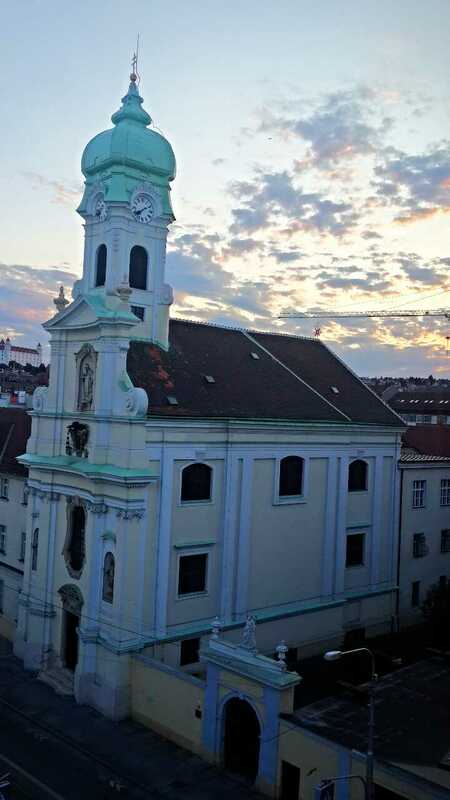 From Vienna, it is only an hour! There are loads of bus companies that do the transfer and they leave almost every hour. 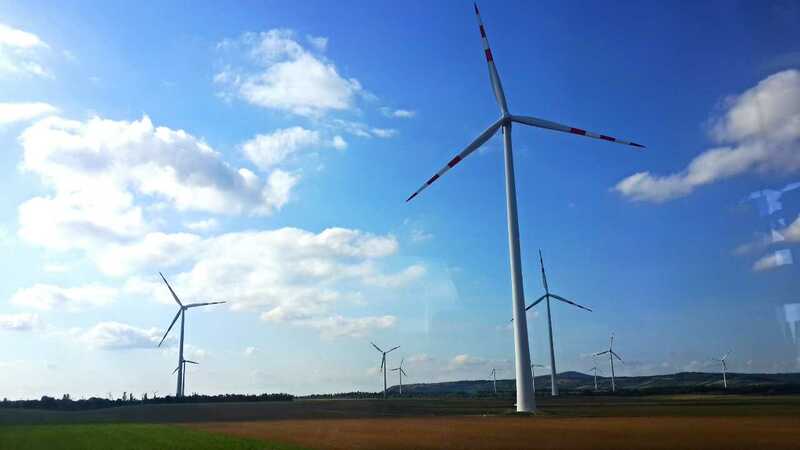 On your way you’ll see the hundreds of mesmerising windmills near the border. 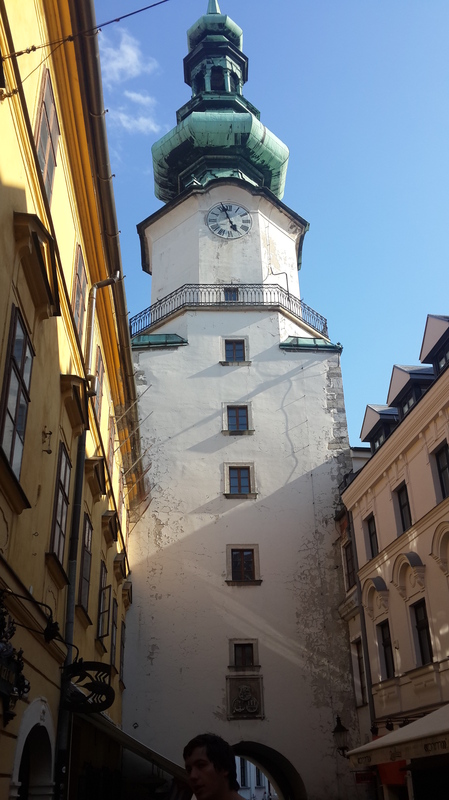 There are many hostels to stay in near the Old Town, and if you stay just outside it will be cheaper and is only a 5min walk. I would strongly recommend Hostel Blues. I booked it because it has the highest rating on Hostelworld and it was great. Every room is named aftera European city and is decorated accordingly, for example I stayed in room Barcelona. When you check in they are super thorough with their information on the place and the lobby is also a super cosy bar/chill out area that everyone hangs out in. 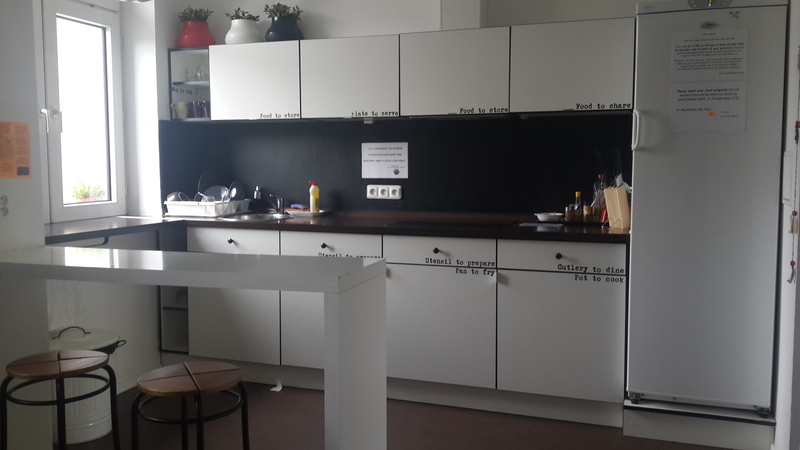 The kitchen is also really modern and clean so I have absolutely no complaints about the place! These run everyday at 11am and 4pm and are really great. They meet on the grassy promonade between the bridge and the opera house and last around 2.5hrs.You see a lot of the Old Town and a few great sights in surrounding areas. This is a really good way of learning about the city’s history as well. 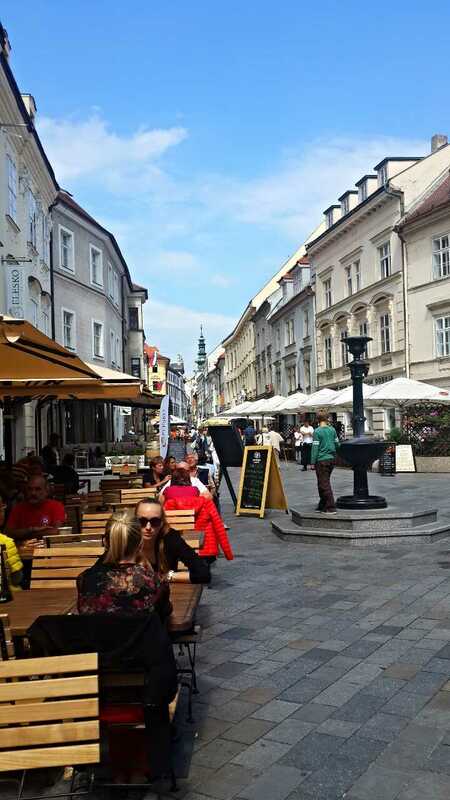 The Old Town is full is windy little cobblestone streets and gorgeous buildings enclosing on them. It is super picturesque and you can spend a nice afternoon exploring it. There are loads of statues around the Old Town; some historical and some quirky. They all have a story behind them and are super interesting! The famous ‘upside down table’ castle is a 5min walk from town and boasts great views of the whole city. The gardens around it are gorgeous and great for a picnic. 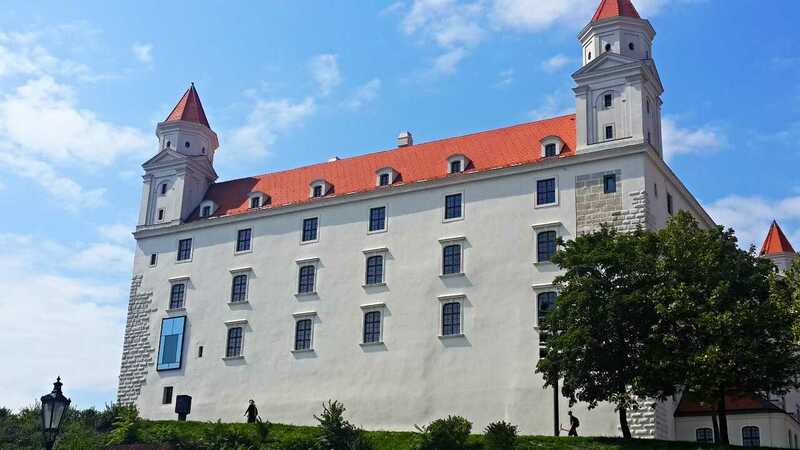 The castle originated as a fortress of defence, and then when the Hungarian empire made Bratislava the capital, the royals decided to live there. So that explains its somewhat bland appearance, even so it’s still great to see. From the top you can see the colorful Lego looking houses from the communist era. The local specialties include very rich dumplings (almost like gnocchi) with a creamy cheese sauce and bacon bits on top. It is absolutely delicious, but after 5 mouthfuls you are full! Take a friend and share some dishes to get a good taste of all things local without exploding. 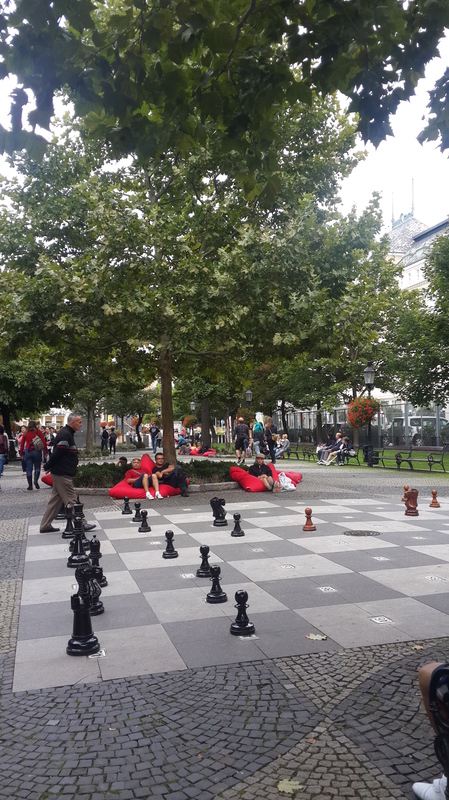 There is a beautiful promenade near the opera house that is a big stretch of restaurants parallel to a long grassy strip where they have bean bags and giant chess board for anyone to play. 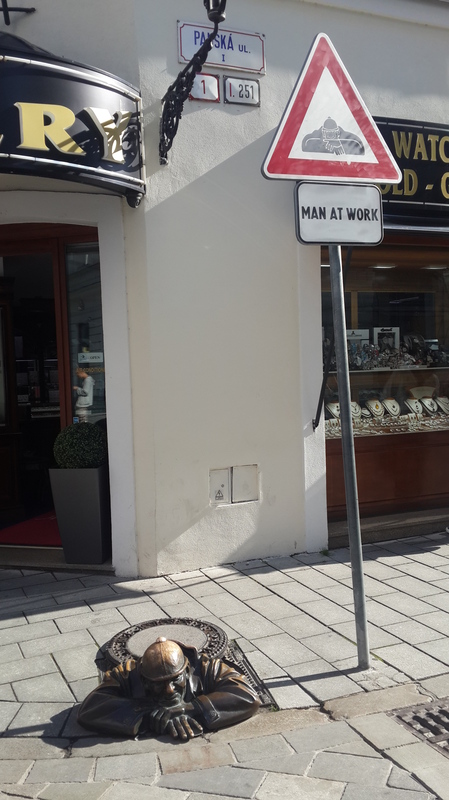 If this was any other city it would be swamped with people and totally uncomfortable, but for some reason it’s usually pretty empty with some chess onlookers and is a great place to chill out! I would strongly recommend doing the pub crawl in town, as it takes you to all the bars that are open and busy on that particular night. If you stay at Hostel Blues it picks you up at 9pm, otherwise you meet at their starting point. I spent one night with almost two full days and I felt this was enough, however. However if you had extra days there are a few trips out to other castles that are worth visiting. I would recommend 2-3 days to encapsulate everything. For more information check out Lonely Planet’s guide by clicking below. 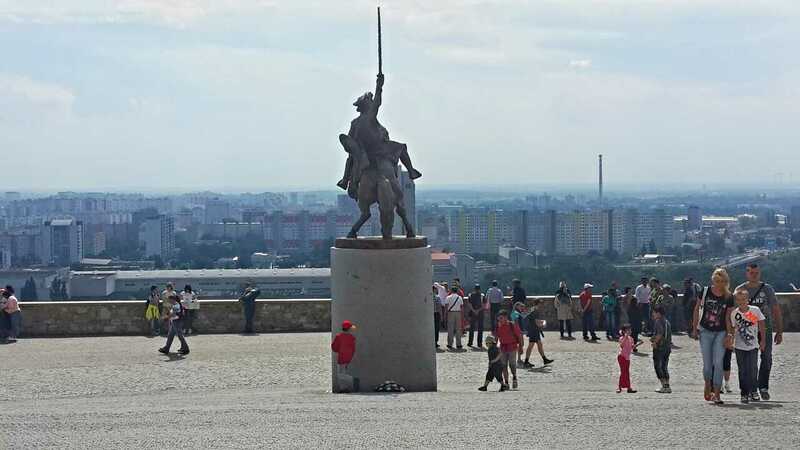 This entry was posted in Europe, Slovakia and tagged Bratislava, Budapest. Bookmark the permalink.